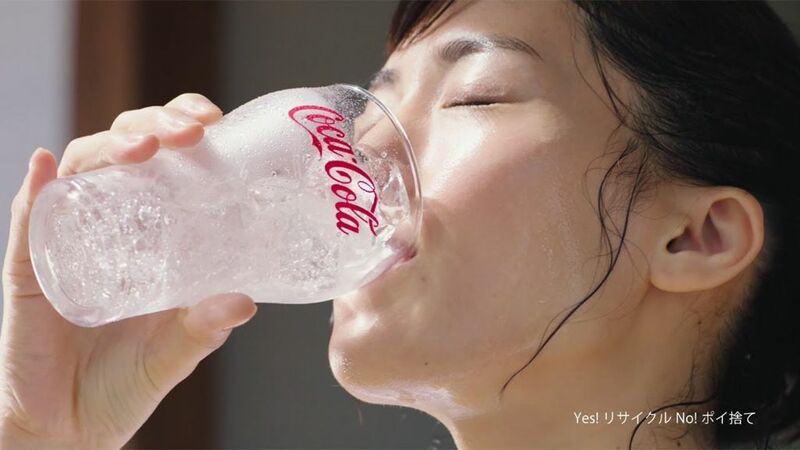 Actress Haruka Ayase has been chosen as the new campaign model for Coca-Cola Clear. Beginning on June 12th her CM will begin airing nationwide all across Japan. Known for it’s unbearable humid summers, the CM takes full advantage of that showing a sweaty Ayase trying to cool off. After screaming into a fan she pours herself a nice cold glass of clear Coke. After an extreme close up of her throat swallowing the liquid, the heat becomes bearable as she happily shouts in excitement. The return of a clear cola Coke product was announced last week, exclusive at the moment for the Japanese market. Back in the early 90s Coke attempted a clear cola product in response to Crystal Pepsi called Tab Clear. It was discounted after only two years in 1994. Would you like to see Clear Coke be released outside of Japan?